There are two moments that make “Spectre” feel like an earnest Bond film and they occur at the very beginning and the very end of the film. In between, I’m sorry to say, it is merely an impersonation of a Bond film (and not a very good impersonation), with way too many creaky “wink wink nudge nudge” jokes, inexplicable seduction scenes, and a plot devoid of the intricacies of previous Bond films. And most damning of all, it’s kinda dull(!). I normally love John Logan’s scripts, and in his defense, there are three others with co-writing credits. I can only imagine Sam Mendes found Logan’s script too serious and had some doctors yuck it up…to the utter detriment of the overall film. You WANT to laugh with it, and a couple times you do, but mostly you roll your eyes. The plot points arrive long after you’ve been waiting at the station. And why someone felt the need to write in the aforementioned seduction scene in the first act is beyond me. It’s as if a producer forced Mendez to put his model girlfriend in the picture – that’s how little chemistry there is. The acting fares much better. 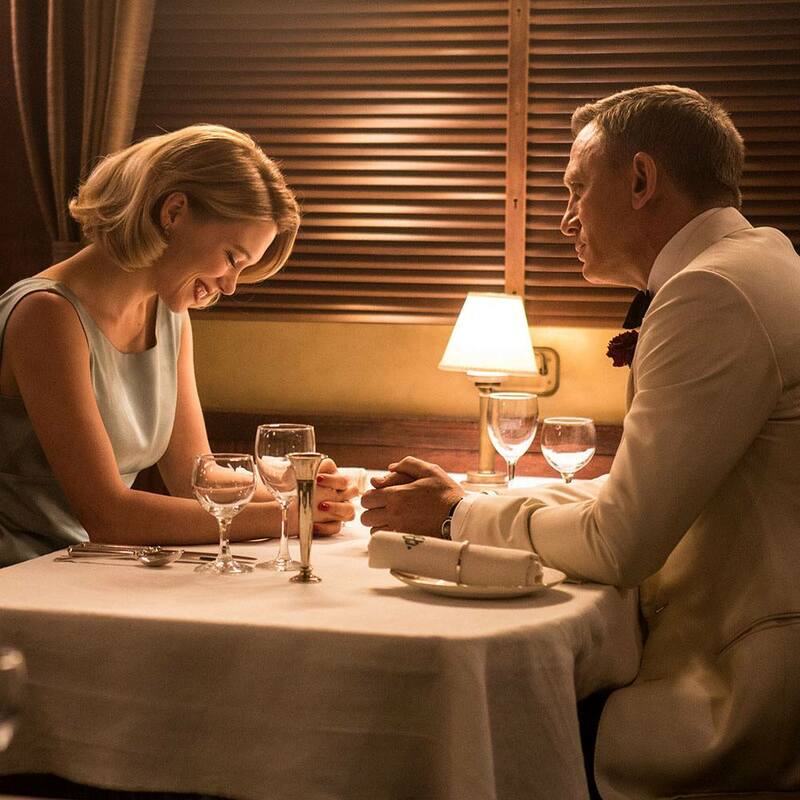 Craig’s Bond is…well…Craig’s Bond. Waltz, without giving anything away, is a charicature, but a BELIEVABLE charicature and a fine addition to the pantheon of Bond archenemies. I firmly believe Andrew Scott is one of the creepiest actors on the planet, but always interesting. And the trio of Ralph Fiennes (M), Naomie Harris (Moneypenny) and Ben Whishaw (Q) are serviceable as ever. The only weak link is Lea Seydoux. Gorgeous, but unable to really handle the role, she flounders around in the highly charged scenes. And due to the deficiencies of both the script and her abilities, it’s hard to believe in their connection. Sam Mendes’ direction is also a letdown. There isn’t nearly enough wondrous action sequences. The jokes mostly land with a thud due to the telegraphic nature of the setups. And even the incredible locales are replaced by too many indoor shots. We’re in Tangiers, but we never look out the window. We’re in the Swiss Alps, but all the shots take place inside cars (with about ten seconds worth of mountain vistas). All of which comes as a huge disappointment after the opening tracking shot, which is a phenomenal piece of film-craft. Oh, and yet another Thomas Newman score. Glad he’s making so much money, but he really needs to discover some new themes. I’ll lay off him for now – except to add that the best parts of the score were written by Monty Norman in 1962. In conclusion…sad to say but the “Mission Impossible” series has effectively usurped current Bond releases as the leader of the Spy Film genre. In that battle, “Rogue Nation” was literally three times the film this is. It’s not as bad as “Never Say Never Again”, but when we look back and rate the Bond films, “Spectre” will be squarely in the bottom third.